Explore the Central Valley with gorgeous Sacramento wedding venues that highlight the unique culture of Northern California. From spacious golf clubs to restored hotels to lush wineries, Sacramento wedding venues run the...Read more gamut in style. For adventurous couples, there’s also closeby Yosemite National Park and its one-of-a-kind views. As the capital of California, Sacramento lies within the lush Central Valley and has a storied history dating back to before the Gold Rush. Traversed by both the Sacramento and American Rivers and famous for its plentiful leafy trees, this city provides a lovely setting to tie the knot. Don't worry if you and your partner haven't decided on the type of venue that's perfect for you. Sacramento offers a plethora of options to choose from, from peaceful lakeside settings to historical Victorian houses. Some of the most popular wedding venues in Sacramento include the local golf and country clubs, wineries, and rooftop event spaces. You'll also have a variety of hotel options for your guests, whether you want a room block at a modern chain or smaller boutique hotel. 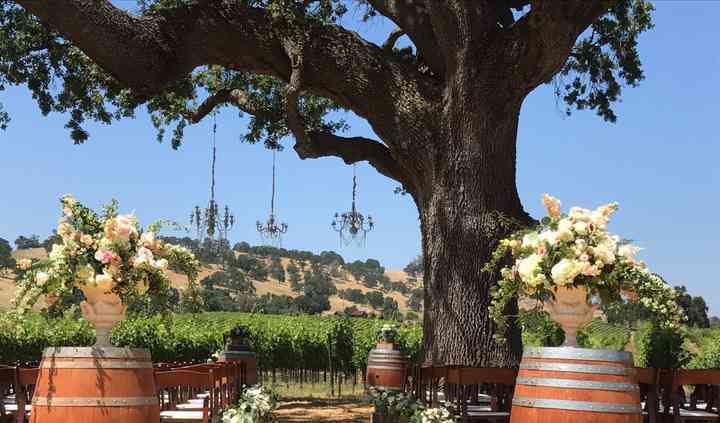 Having your wedding in Sacramento means you can host your guests in beautiful natural settings. 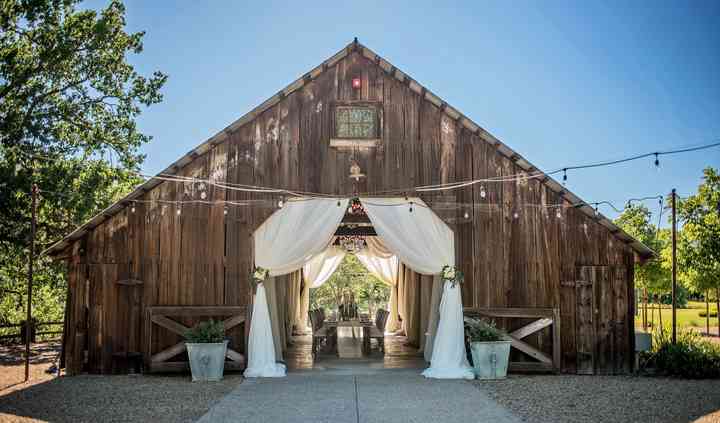 The mighty Sacramento River flows though the city and surrounding areas, and you'll find that many of the local farm- and ranch-style venues offer a verdant, yet rustic vibe. If you want to share that Big Kiss by the water, Lake Natoma and Folsom Lake are 20 and 30 miles northeast of downtown, respectively. Farther afield, about 115 miles southeast of Sacramento, is the iconic Yosemite National Park. Many couple exchange their vows surrounded by the magnificent and graceful formations of El Capitan and Half Dome. As you assess the different wedding venues in Sacramento, keep in mind that the average wedding in this city costs between $30,000 and $36,000. Every couple is different and your special day will be unique to you, but this ballpark figure may help you set your budget. While Sacramento has plenty of wedding venues to choose from, consider expanding your search about 90 miles southwest to San Francisco. This unique, forward-thinking city attracts visitors from around the world. While the venues are likely more expensive than in Sacramento, you'll gain options with eclectic style not found anywhere else, as well as venues with gorgeous backdrops of the bay and shining Golden Gate Bridge. Sacramento is at its peak in the spring and fall. In the spring, most days are sunny and warm with temperatures averaging 70° F. Fall is incredibly lovely with the plentiful trees in the city turning vivid colors of gold, yellow, and amber and mild temperatures averaging 65° F. If you'd like a holiday wedding, winters are gentle in Sacramento. Summers can get extremely hot in the valley, so make sure you choose a setting that offers soothing shade or indoor space if you decide on that time of year. Ready to make the commitment? WeddingWire's planning tools can help with all the tiny details and big plans. Compare vendors, read reviews and stay organized as you search for wedding venues in Sacramento.